Whether you usually only catch snippets of the Olympics (for the sole reason of checking out the hot athletes and their abs of steel) or you watch the Games religiously, stalking all related news from the trials to the closing ceremony, there’s still so much to learn about the Olympics. When and why did it start? What the heck do those five rings symbolize? What goes on behind the scenes? A comprehensive overview of the Olympics would not be complete without an actual definition of what it is, so we’ll start there. The Olympics is the world’s most prestigious international athletic competition, in which thousands of athletes from around the globe who qualified for their nation’s team participate in events for the sport they play. More than 200 nations are involved in both the Summer and Winter Olympics, which feature different seasonal sports. The ancient Olympic Games were originally held in Olympia (hey, that sounds familiar), Greece, but in case you haven’t noticed, the location now changes with each Olympics. Why? The Olympics are supposed to be egalitarian and promote global cooperation, so changing the location means that every nation gets a chance to host the event. Hosting the Olympics is a huge deal for a city and brings in an influx of people from around the world, which means host cities often undergo major reconstruction, renovation, and decoration to welcome and accommodate the guests. This summer, the Olympics are in (drum roll, please….) London. The Olympics occur every other year, alternating between Summer and Winter Olympic Games. 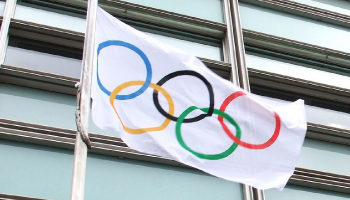 In other words, there is a Summer Olympics every four years and a Winter Olympics every four years (fun fact: the ancient Greeks called those four in-between years an “Olympiad”—they were clearly very creative with naming). This summer, the opening ceremonies will be on July 27th and the closing ceremony will be on August 12th. So why do we even have the Olympics? What is its purpose, besides giving us an opportunity to admire those aforementioned abs of steel? Well to start, the Olympics are most obviously about watching, supporting, and celebrating the world’s best athletes and their incredible feats. This not only serves as a source of entertainment and inspiration, but also of national pride because, really, who wouldn’t want to see their country rack up shiny medals? But despite national loyalties and the spirit of competition, the Games are actually meant to encourage international cooperation and camaraderie. According to wisegeek.com (and how could you not trust a wise geek? ), though the Games are meant to symbolize peace, “three games (1916, 1940, and 1944) have been canceled due to war” and “several Cold War nations boycotted each other during the Olympics…and some nations have staged strategic Olympic boycotts to protest various activities by other competing nations.” But, for the most part, the Games have historically been—and will hopefully continue to be—a time for the world to come together, cheer, and marvel.